Circa 1940: Homer Laughlin's Century pottery line lended itself not only to Riviera, but to many of their decal ware lines as well. Conchita, with its cascade of southwestern fruits and cacti has become is a great example of the attraction to Mexican based themes from the 30s and 40s. 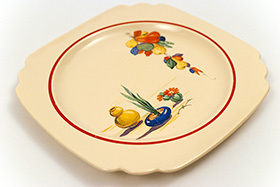 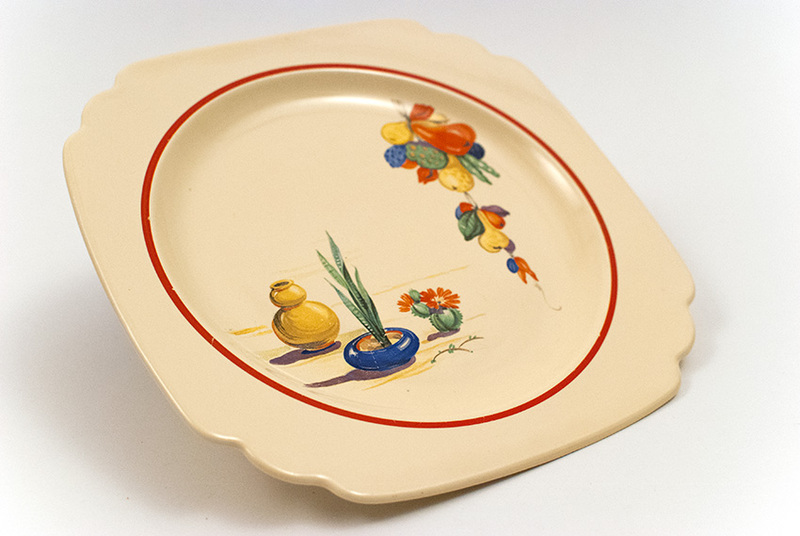 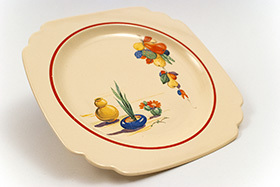 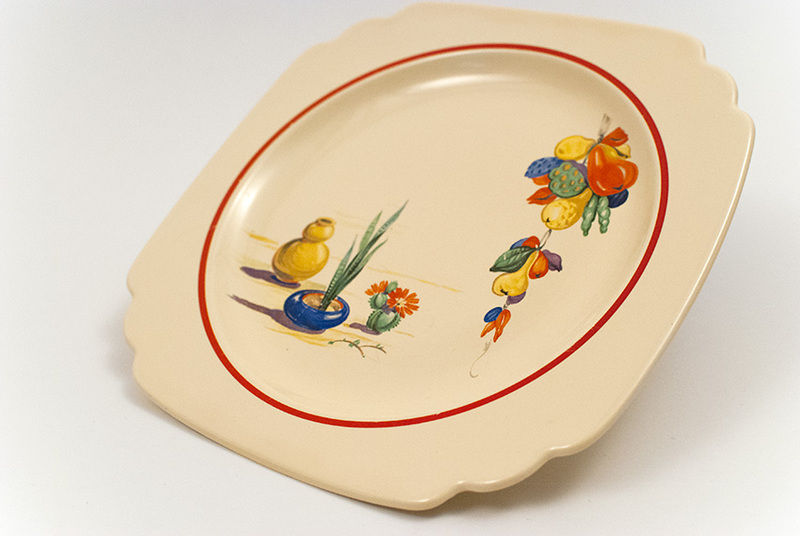 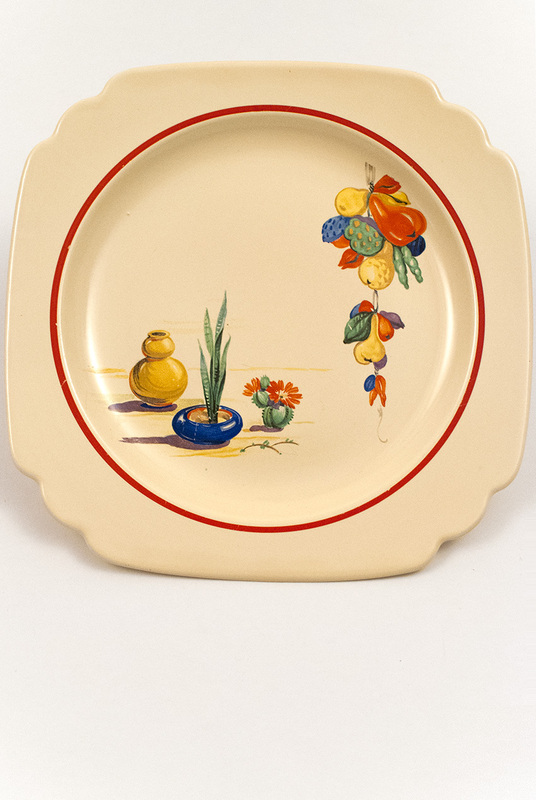 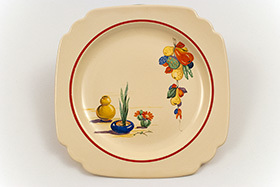 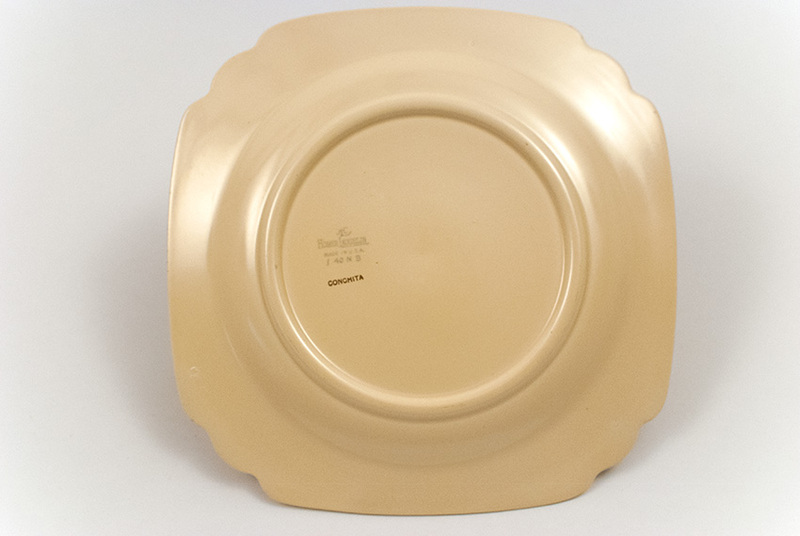 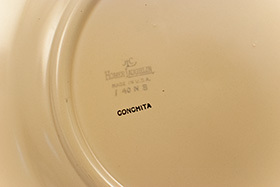 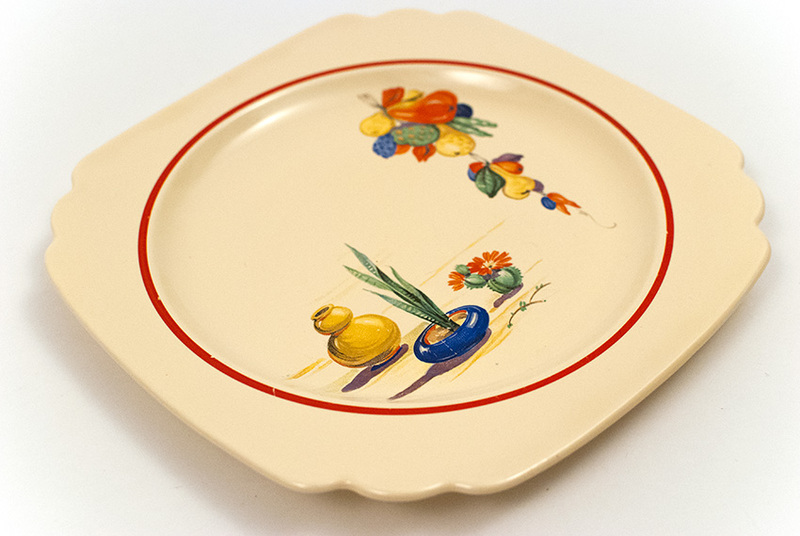 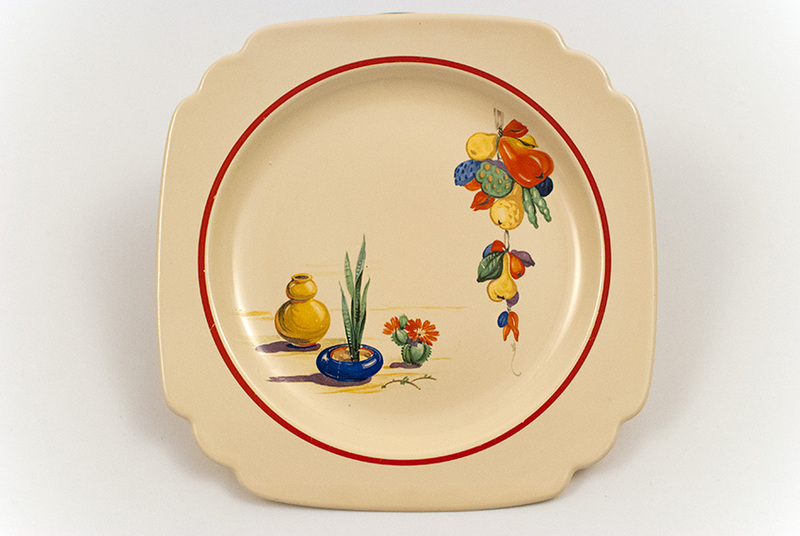 This example on the 8 3/4" luncheon plate with the scalloped edges and hand painted red stripe is in excellent condition, without damage or use - great gold mark on the back "Conchita", and dated 1940.